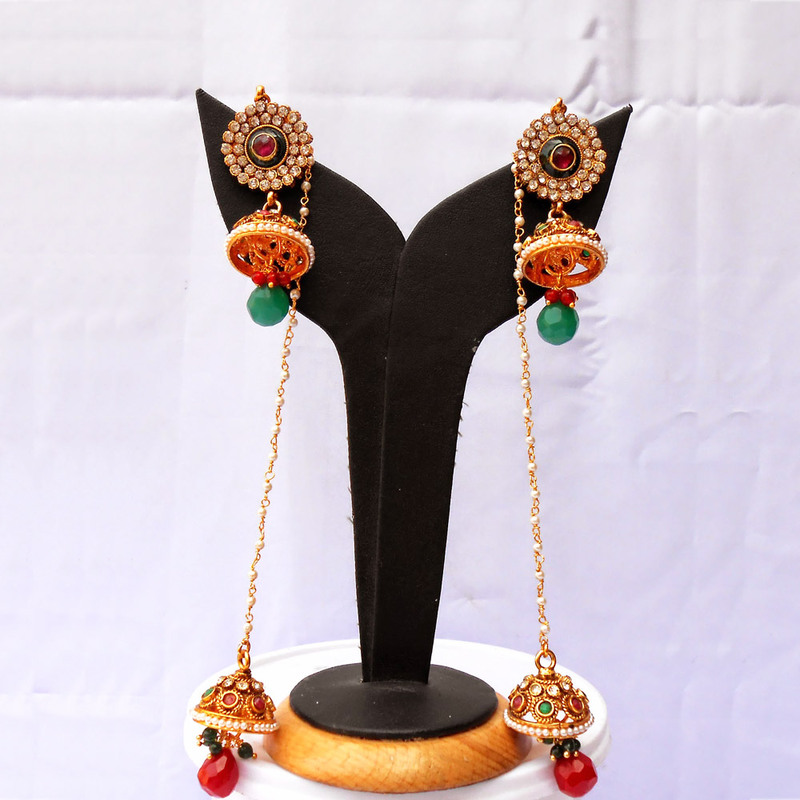 This pair of red & green stone embedded dual jhumka earrings features vividly colorful red and green gem hanging from the two jhumkas, and a Read More..red gem is present at the center of its stub. Green teardrop shaped gem dangles from the first jhumka while a red one hangs from the second jhumka connected to the stub by a long chain interspersed by beads. The chain and the body of this jewelry piece consist of gold plated brass, which helps, in augmenting the beauty of the earrings. Show Less..